We have four spots to fill on our Green Clean Schools Steering Committee and are now accepting nominations. This is a rare chance for dedicated facility managers in educational institutions to help drive the decisions of our organization and shape the future of green cleaning. 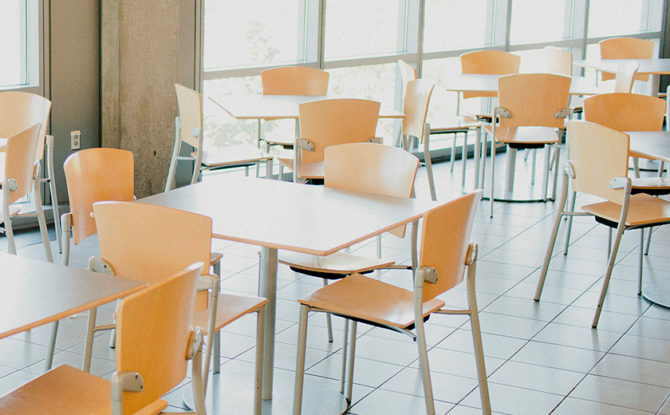 The opportunity to work with other green cleaning leaders from schools and universities across the country will bring you to the cutting edge of green cleaning in the educational facilities sector. Members of the Steering Committee are integral to our program’s decision-making process, and help to drive the strategic goals for the organization. We are looking for two representatives from higher education and two from K-12. The Steering Committee includes 12 dedicated facility managers from schools and universities across the country with award-winning, pioneering green cleaning programs. These on-the-ground green cleaning leaders have not only helped create healthier and safer educational facilities for their communities, but also they’ve demonstrated a commitment to leading their peers and galvanizing the green cleaning movement. The members of the Steering Committee are thought leaders who use their practical knowledge and experience to advise Healthy Schools Campaign’s Green Clean Schools program to best serve the education facilities sector. In addition, members help influence cleaning industry suppliers and manufacturers to provide greener, healthier innovations for schools and universities. Members of the Green Clean Schools Steering Committee are ambassadors for HSC’s Green Clean Schools program, using our resources and their personal achievements to teach peers through presentations at Green Clean Schools events and published articles in trade publications. Most importantly, the members of this committee provide a living example that green cleaning makes an incredible impact on the health and education of students—and is attainable. Members of the committee serve three-year terms. Please fill out this application before Dec. 15, 2017. If you have not won a Green Cleaning Award or Honorable Mention, please also apply for the 2018 Green Cleaning Award using the application on American School & University magazine’s website. After you submit your application, you will be called by a member of the Healthy Schools Campaign staff to review the requirements. Then two members of the Steering Committee will call you for a brief phone interview.